CAGE (previously known as CagePrisoners) was set up in October 2003 as a Human rights NGO with the purpose of raising awareness of the plight of the prisoners at Guantanamo Bay and other detainees held as part of the War on Terror. – work closely with survivors of abuse and mistreatment across the globe, supporting them to access due process for their case. – carry out cutting edge research, regularly documenting the abuse of due process and the erosion of the rule of law in the context of the War on Terror. – provide a voice for survivors of the war on terror, challenging the dominant narrative of suspect communities and the perceived threat of terrorism. – empower communities through workshop, events and seminars highlighting and campaigning against state policies. Learn more about why CAGE was set up and the work we do by watching Our Story, or downloading our brochure. CAGE is an independent organisation that does not obtain funding from the government or any public bodies. 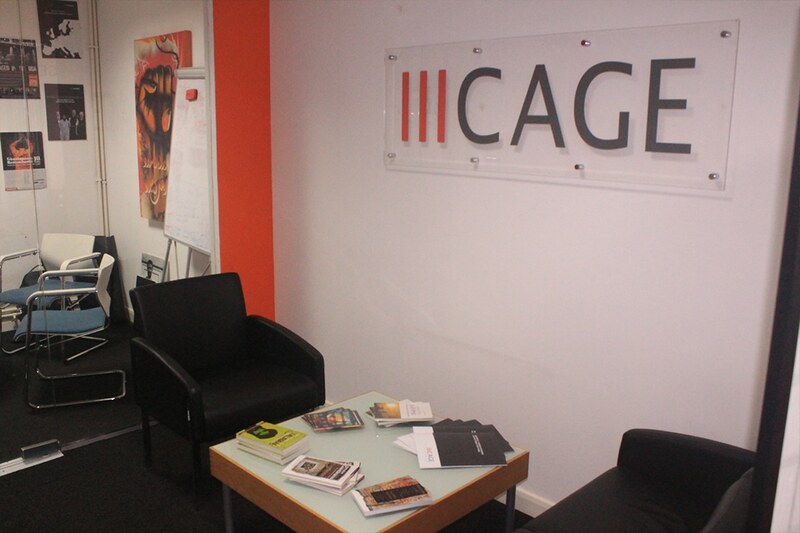 Unfortunately our accounts were recently shut down following the arrest of CAGE Outreach Director Moazzam Begg. Since then, the organisation has been under sustained pressure, but despite this our work continues to go from strength to strength. This would not be possible without the generosity and kindness of the public, community and our supporters. Your support is invaluable and ensures that we are able to carry on advocating against unjust policies as part of the War on Terror. There is still a long way to go, and given the UK government’s latest counter-terrorism proposals, our organisation is needed now more than ever. We need your help in order to get through these testing times. Any amount given by our donors will have maximum impact and will enable us to stand firm against injustice and provide a significant and lasting positive change to the lives of many. Donate Online today. There are other ways you can support us, visit our Get involved page.